August is the time of year when new and returning students get school schedules, living arrangements and supplies finalized before the first day back to school. And while they are sifting through their wants and needs for the coming year, they should also have an eye on life beyond the walls of academia. Students today are more educated, more connected and more driven by technology then in previous years. With less of a desire for class room learning and more of a need for practical life experience, students need technology that grows with them and allows them to put into practice what they are learning. “Eurocom developed the X5 to be an elegant and prestigious system, for customers to dream of one day owning such a high performance system they can enjoy for many years. Now students can easily attain and X5 for their studies and beyond.” Mark Bialic, Eurocom President. Eurocom’s reputation for long lasting, high quality, and upgradable equipment is a perfect fit for the new crop of students. All of Eurocom’s desktop replacement computers are fully customizable and upgradable, making them last beyond the years students are in school. The upgradability of a Eurocom system is an attractive feature for anyone from engineering to graphics, to mobile application and game developing students. The freedom to upgrade parts is unique to Eurocom. Not limited to just memory modules and storage drives, it also includes the ability to swap out for a better graphics card, or even boost the processor. 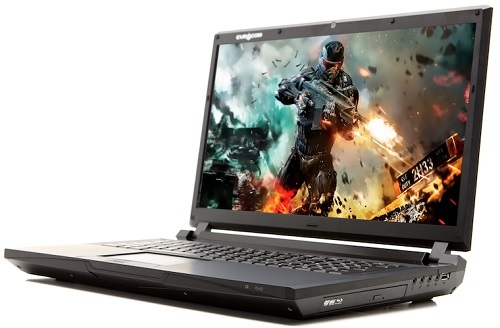 The EUROCOM X5 is a perfect example of the flexibility Eurocom laptops offer. The EUROCOM X5 can be customized for engineering, game and application developer, or architecture students alike, the 17.3 inch full HD screen (1920x1080) screen, combined with an NVIDIA Quadro or GeForce graphics processor makes it unnecessary for an external screen. The impressive i7-4940MX processor and up to 32GB of RAM push the system to an unparalleled speeds. Personalize your own EUROCOM X5 laptop weapon with a custom backlit keyboard, with 7 colours, 3 zones and 8 modes you have the ability to dominate and stand out. To store your latest applications, projects and software the EUROCOM X5 can support up to 5 storage drives, with 2 mSATA solid state drives for fast boot up times and blazing responsiveness. The following 4th gen CPUs will be available in the X5: Intel Core i7-4940MX and Intel Core i7-4930MX with 4 cores and 8 threads running at 3 GHz with 8 MB L3 cache, Intel Core i7-4910MQ, Intel Core i7-4810MQ, Intel Core i7-4710MQ and Intel Core i5-4210M. “Eurocom knows students adapt to technology before anyone,” said Eurocom president Mark Bialic. ”Students are looking for more innovative and efficient ways to do more. So we at Eurocom want to give them that opportunity”. Purchasing through the Eurocom Education Program gives students the equipment they need to achieve their greatness with a 10 percent discount.